Browsing through quotes on gratutude is the perfect way to prepare when you want to say a meaningful thank you! So, here's a selection of quotes to complement my original collection of quotes to say thank you. As Cicero (106 BC - 43 BC), wrote in "Pro Plancio," in 54 B.C. I hope these extra quotes on gratitude will provide you with lots of inspiration while you are busy searching for ways to express your gratitude. One looks back with appreciation to the brilliant teachers, but with gratitude to those who touched our human feeling. Gratitude as a discipline involves a conscious choice. I can choose to be grateful even when my emotions and feelings are still steeped in hurt and resentment. It is amazing how many occasions present themselves in which I can choose gratitude instead of a complaint. I can choose to be grateful when I am criticized, even when my heart still responds in bitterness. I can choose to speak about goodness and beauty, even when my inner eye still looks for someone to accuse or something to call ugly. 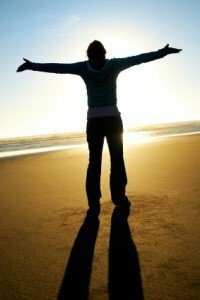 Even more quotes on gratitude here! I am grateful for my family and for being able to do many things. This helps me through the rough times by showing me that if we have food, shelter and love we are doing well. Keeping your body healthy is an expression of gratitude to the whole cosmos ... the trees, the clouds, everything. Without gratitude, we have no wings. The highest and last freedom is to feel ever-increasing gratitude. Thou art not so unkind, as man's ingratitude. I will being adding more quotes on gratitude regularly ... I'm always on the lookout for new ones! If I've missed out your favourite thank you quote, please send it to me here and I will be glad to include it.